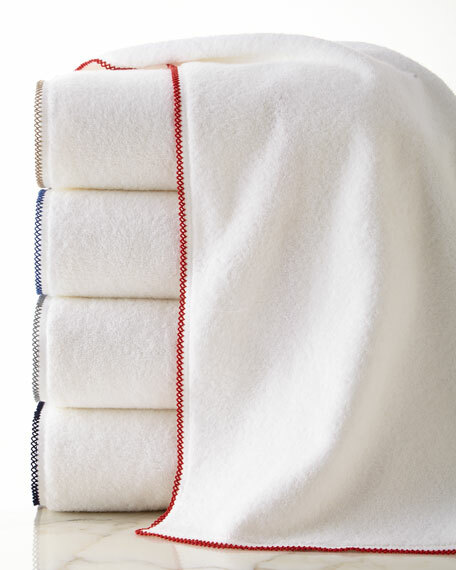 Bath towel with contrasting picot trim. 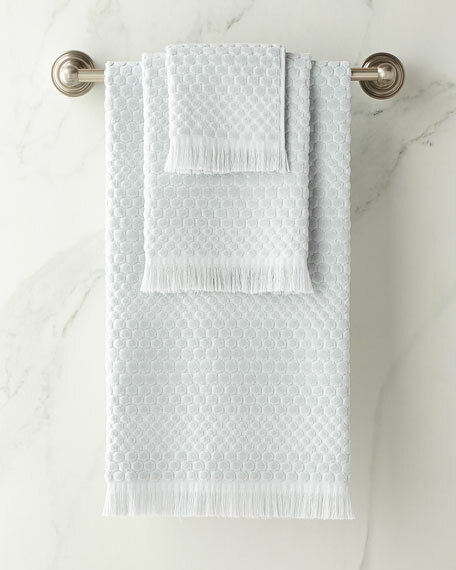 Hand towel with contrasting picot trim. Face cloth with contrasting picot trim. Cotton towel with striped linen cuff and eyelash fringe.Garment-dyed; 600 GSM.12" x 18".Machine wash.Made in Portugal. Bath towel with eyelash fringe ends. Combed cotton with velour front. 650 GSM. 30" x 54". Machine wash.Made in Portugal.